The offseason is a gruelling exercise in patience for the average basketball fan. It's that time of the year when we're over and done with the previous season, and even the novelty of the barrage of free agent signings has passed us by. 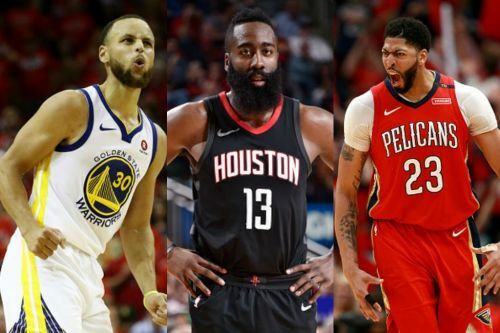 Chris Paul remains a Rocket, Paul George stays back (to everyone's surprise) in Oklahoma City, Kevin Durant signs another flexible deal with the Golden State Warriors while LeBron James surprised few people, if any, with a move to the Los Angeles Lakers. But what changes, with each passing moment, is the kind of skill all of these hallowed players have worked on. The offseason is the time when everyone tries to work on new aspects of their game, reduce their weaknesses and focus on making their go-to moves more and more unstoppable. Jimmy Butler has one of the most amazing zero-to-hero stories in all of basketball. It is his work ethic, dedication to improving his fundamentals and his zeal to add to his skillset every offseason that has driven him to four All-Star games, three All-NBA selections and three All-Defensive Team selections. Aged 28 now, Jimmy has entered what is essentially a win-now mode, and is slated to be a free agent next summer if he opts out of the final year of his deal. Ever since he was traded to the Timberwolves last summer, he has gone on to become the centerpiece of the Minnesota franchise. Averaging 22.2 points, 5.4 rebounds and 5.0 assists per game on a field goal percentage of 47.3%, Butler powered the franchise to third place in the Western Conference standings before going down with a meniscus injury in late February, virtually ensuring their first postseason appearance since 2004. 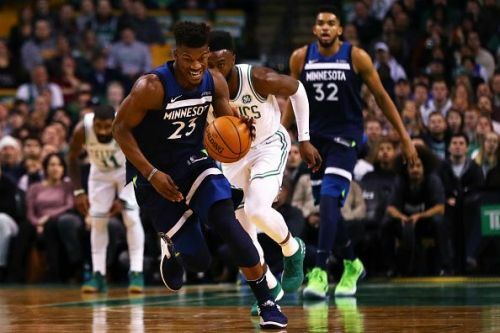 Butler guarded the best opposition player every night this season and led the Timberwolves in defensive win shares per game. Without his presence, the Wolves would probably be worse off than the 26th place they hold in defensive efficiency this year. His performances fell off in the first round of the playoffs against Houston, as he shot poorly and was unable to contain Harden on the defensive end. But a year of maturing for co-star Karl-Anthony Towns, a more reliable bench and improved fitness might be enough for the Wolves' franchise player to do justice to the talent the team has this season.